Connected Cars – What Can I Do While I Wait for My Self-Driving Car to Arrive? Umair Hussain is an Associate Partner with Red Chalk Group and has broadly served and counseled senior corporate and investment executives for the past 10 years. Mr. Hussain has deep experience addressing critical strategic issues, including the development of corporate and business-unit growth strategies focused on adjacent markets, emerging markets, and new platforms – often through M&A strategy. Moreover, he has advised executives on the strategic options to address opportunities and mitigate risks associated with disruptive technologies and new business models. Mr. Hussain has extensive experience addressing strategic opportunities associated with Industry 4.0, Connected Car, Connected Home, Internet of Things, Automotive Mobility, and Blockchain. In addition, Mr. Hussain has advised senior investment professionals, including private equity and hedge funds, on investment thesis formulation, industry assessments, and target commercial due diligence. More specifically, he has counseled investment teams on a range of transactions, including leveraged buyouts, public-to-private transactions, corporate carve-outs, and middle market acquisitions. Prior to joining Red Chalk Group, Mr. Hussain was an Investment Banking Analyst at FT Partners based in San Francisco, California. Mr. Hussain received a Bachelor of Science degree in Accountancy and Bachelor of Science degree in Finance, with Honors, from the University of Illinois at Urbana-Champaign. 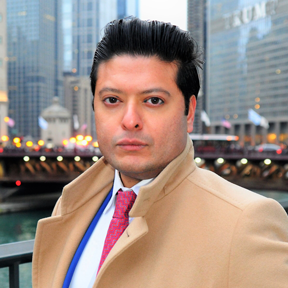 Umair is also active in numerous professional and charitable organizations including serving as the President of Pivot Nonprofit Consulting and Business Plan Judge with NFTE Chicago.